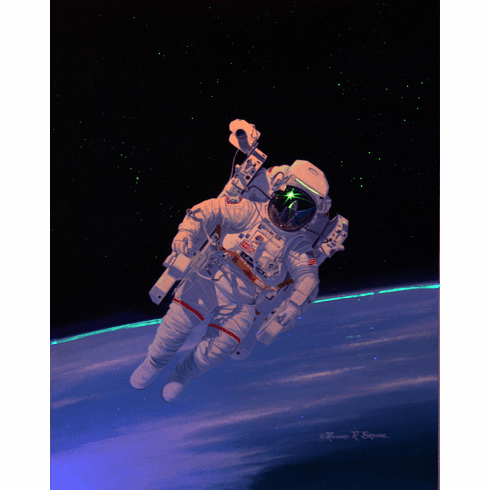 Hand remarqued by Rick, this painting goes to a full blown space scene. City lights on earth will come out, all the stars and the milky way, lights and the reflections on the space suit! Beautiful Painting! Estimated 40 hours of time to create each Original Derivative Starlite Painting. Price includes our Trademark LED UV Starlite Frame.